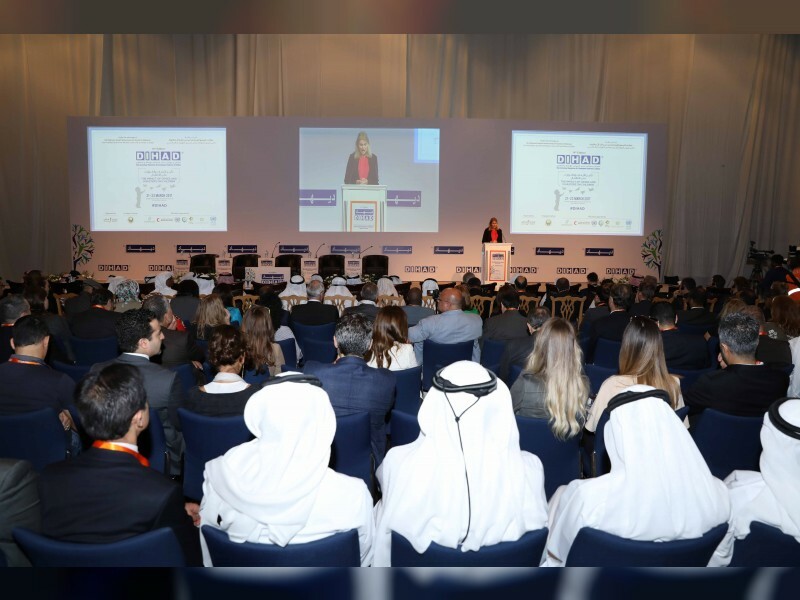 DUBAI, 4th March, 2018 (WAM) -- The 15th edition of the Dubai International Humanitarian Aid and Development Conference and Exhibition, DIHAD 2018, will launch on Monday. The first humanitarian aid and development event of its kind in the Middle East, DIHAD 2018 will be held from the 5th - 7th March, at the Dubai International Convention and Exhibition Centre. Speaking on the occasion, Ambassador Gerhard Putman-Cramer, Director of DIHAD International Scientific Advisory Board, DISAB, said, "The current state of world affairs, with the rapidly growing number of victims of disasters and crisis, both man-made and natural, cannot continue and call for urgent preventive solutions and strategies. "According to the United Nations, there were nearly 102 million people in need for humanitarian assistance in 2015, but now recent estimates suggest that the number has grown to 142 million, in over 40 countries. As requirements are outgrowing resources, we need a comprehensive strategy to care for the needy, provide shelter and plan for millions of refugees who are currently inaccessible." The Executive Chairman of DIHAD and DISAB, Dr. Abdul Salam Al Madani, added that DIHAD has always been at the forefront of topical humanitarian issues and, this year again, it will highlight a set of concerns now being universally recognised and increasingly addressed in a focused manner. This year's theme is titled 'The Sustainability of Emergency Aid: The Intensifying Search for the Appropriate Strategies, Methodologies and Resources to Meet the Global Humanitarian Challenges in the Years Ahead'. DIHAD is organised by INDEX Conferences and Exhibitions - member of INDEX Holding and supported by the Mohammed bin Rashid Al Maktoum Humanitarian and Charity Est., the United Nations, the Emirates Red Crescent, Organisation of Islamic Cooperation, International Humanitarian City, the General Directorate of Residency and Foreigners Affairs – Dubai, and Dubai Cares.